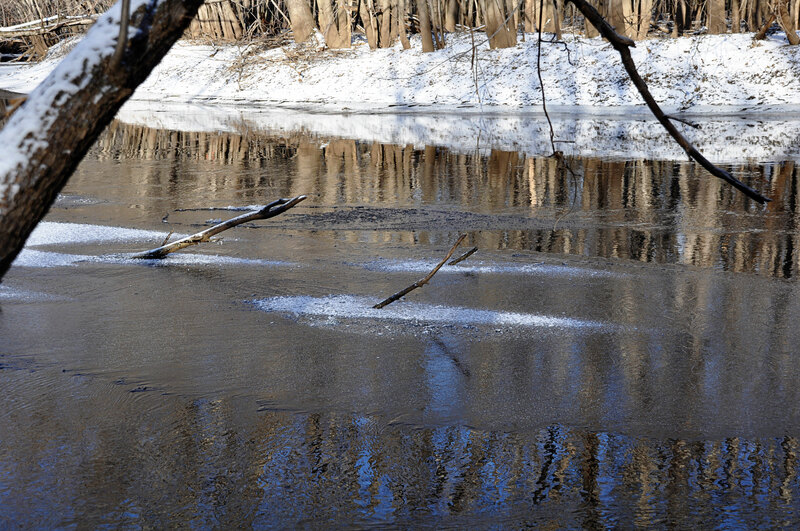 The colder temperatures have caused ice to form on the slow-moving backwater of the river. 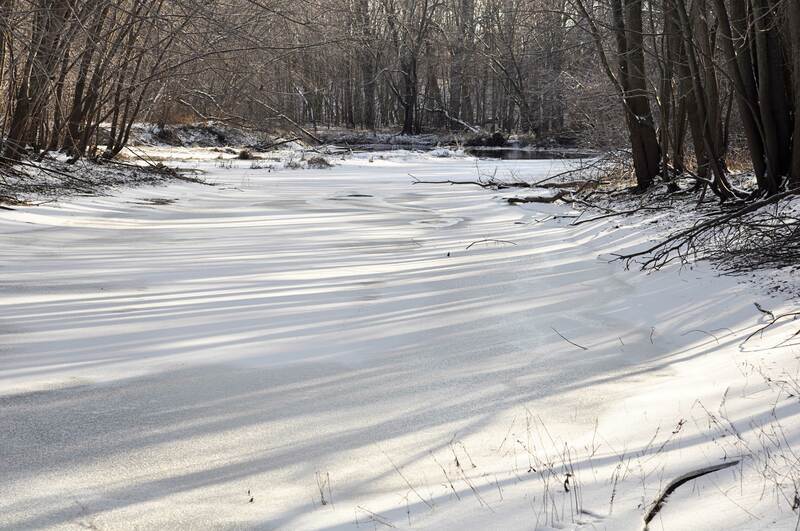 With its swift currents, the main river is fighting off the ice. 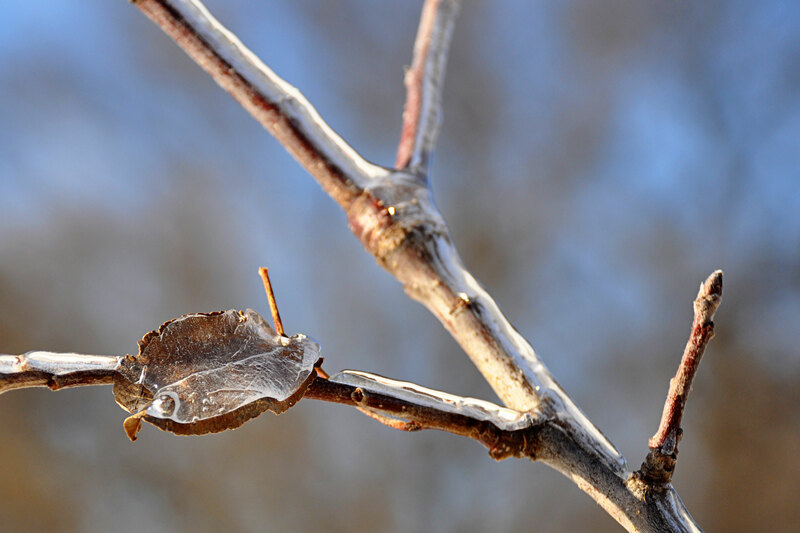 An ice storm last weekend, along with another shot yesterday, has left a layer of ice covering most everything. 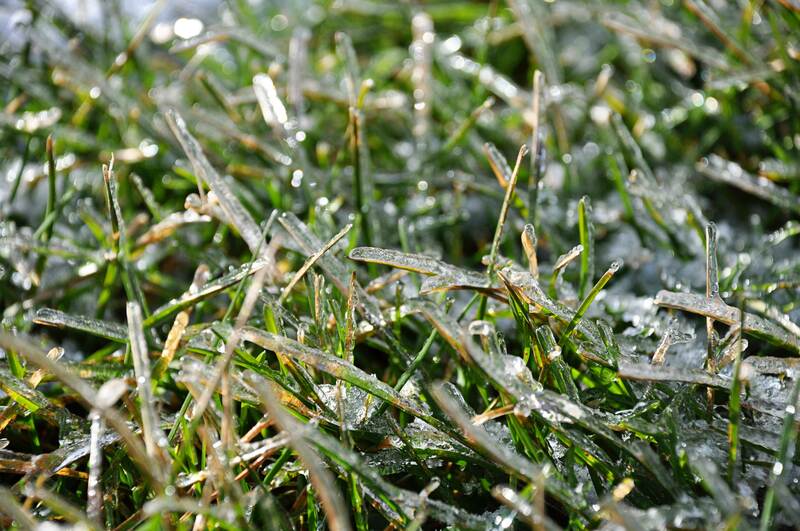 The blades of grass look like icicles yesterday and the lawn sparkled and shimmered in the afternoon sunshine. 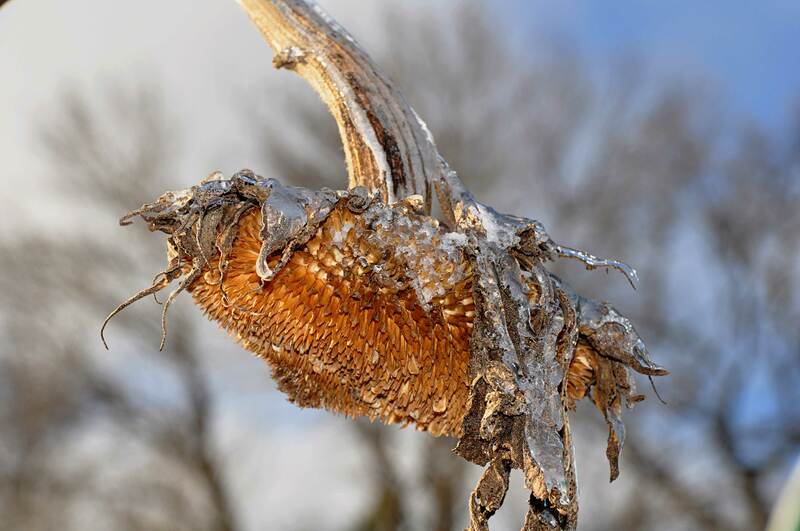 The already heavy sunflower heads drooped further under the added weight of the ice. 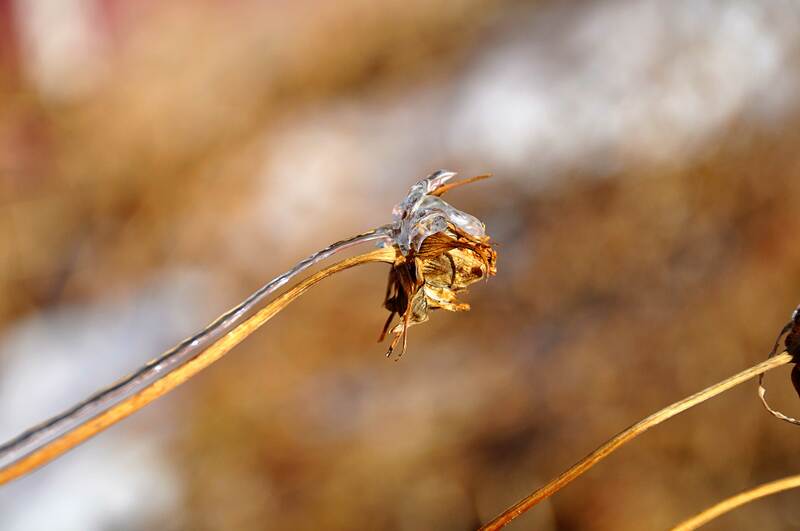 I found this ice formation on a dried up cosmos flower fascinating. How did this even happen?? 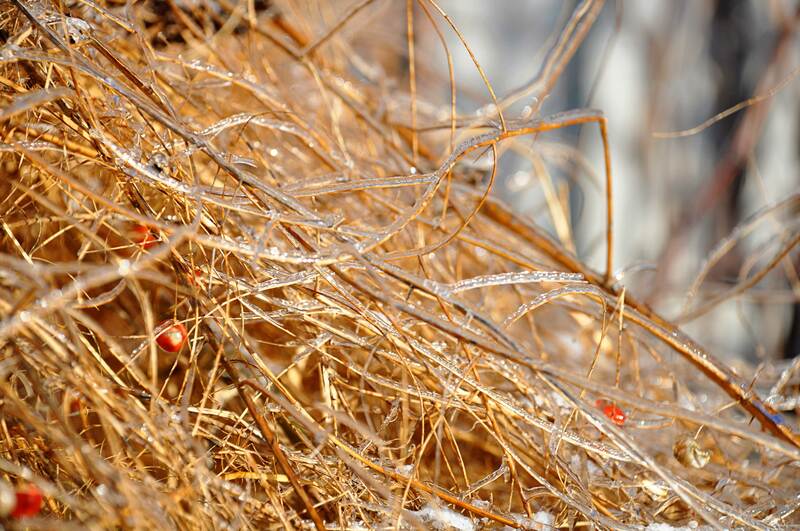 Yes, it’s beginning to look a lot like winter around here. 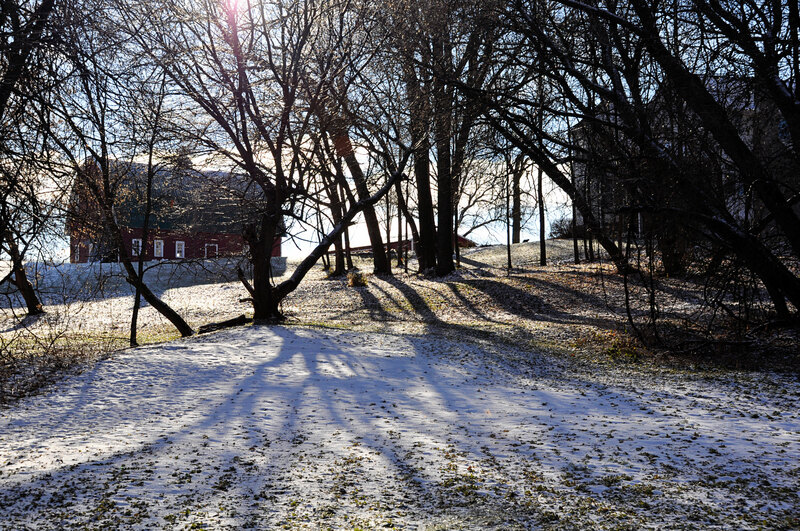 More snow has just started falling… just in time for Thanksgiving. I know! Here too! After the 5″+ we received last night, I guess I finally have to accept that winter is here. I am going to just try and enjoy it, even though I really can’t wait until spring! We are blessed that we get to enjoy a white Christmas most years, though. Enjoying a white Christmas is a definite plus of life in Minnesota! Have to look on the bright side of things, I suppose. Sounds like you have more snow than us though…there are only about 3″ on the ground here.